Hannah James Blog: .green bag lady. Another winning bag. I have had this bag for about a week now, and have just gotten around to post pictures of it. I love it - this is a no thrills bag, just plane & simple & easy to cart around. This came from the green bag lady who has vowed to give a bag to anyone who promises to use it instead of plastic. 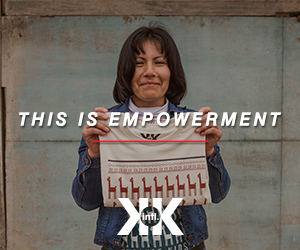 She uses donated materials and converts them into beautiful bags for shopping of all kinds. If you have any unwanted fabric consider a donation to her. A really cool part about her bags is the fact that she puts a number on each one - she has made over 5,600 bags so far. These bags are in all 50 states and in a number of different countries. My bag is number 5176 - Thank you Teresa! You are most welcome. Thanks for the photos, I'll post them too. Your daughter is adorable. As far as sleep training, "Your Baby Can Sleep" video (they sell it on Amazon) saved my life, literally. It worked like a dream on my first 2 girls, then my boy was a little more difficult. Probably b/c he is a boy. :) Good luck, it is hard, but SO very worth it, I promise.